Biannual cleanings and checkups are absolutely necessary for maintaining a healthy smile. From oral cancer screenings to fluoride treatments, a lot of vital services happen during your dental exam. Regular visits to the dentist are extremely important and should not be neglected. It’s crucial that you attend your regular checkups in order to maintain good oral health. When visiting the dentist, patients will get the professional dental care they need and can’t get at home with simple hygiene practices. Failure to remove plaque in time often results in tartar buildup which then ends up being difficult, almost impossible, to remove on your own with home dental hygiene practices like brushing and flossing. Keeping up with dental maintenance is not only important for the patient’s teeth and gums but also for their overall health. Getting professional dental care can help eliminate or prevent diseases that may impede you from enjoying your everyday life. Patients with good oral health don’t need to visit the dentist as often as people with higher risks for dental diseases. Good oral health lets you get away with fewer visits to the dentist. People who have healthy teeth and gums are only required to see the dentist once or twice a year to ensure that they’re keeping up with their dental hygiene. However, those prone to dental problems may be required to go to the dentist up to 4 times a year to treat their diseases and guarantee a healthy smile in the future. Missing routine dental cleanings may lead to dental problems in the future such as tooth decay, gum disease, plaque buildup, and even tooth loss. Tooth decay occurs when cavities aren’t treated in time to stop their development, which could then lead to tooth loss. As mentioned, plaque buildup occurs when you fail to clean your teeth properly, leading to tartar. Having it removed by a professional will eliminate the bacteria that causes tooth decay, leaving you with squeaky clean and healthy teeth. Failure to remove plaque doesn’t only lead to tooth decay, it may also lead to gum disease over time. Consequences of gum disease include swollen gums, sensitive teeth, bad breath, and bleeding when you brush your teeth or floss. Gum disease is progressive and may get worse if not treated in time. Missing a dental checkup may also result in a missed opportunity to detect oral cancer. Oral cancer screenings performed by your dentist may help detect it in its early stages and potentially save your life. When patients fail to visit their dentist for checkups they run the risk of having to pay more money for what should’ve been a simple procedure. Neglecting to get professional help can end up costing you more in the long run and leave your dentist with a list of dental problems to resolve. 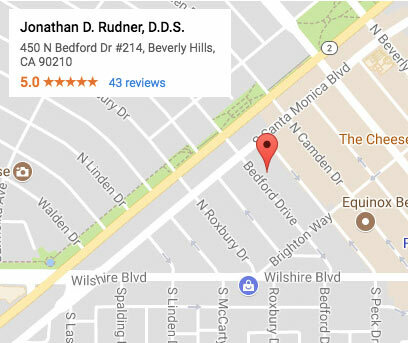 If you’re in need of a dental check up, Cosmetic Dentistry of Beverly Hills is here to help! Dr. Rudner will ensure that your time spent in the office will not be in vain. You will leave with a refreshed, clean, and beautiful smile that will give you the confidence to interact with others daily. We can help you maintain the best oral care possible. Contact us today to set an appointment!